Just bought another Tokai on eBay! Goldstar serial number 227190, which seems to place it as as 1985 ST60. Would that be correct ? Now to my surprise it has fender CS69s - AY initialled in it ! Neck code is 0032, and body code , nothing on neck pocket but paint code in cavity is 12 10 BB X - which confirms it is originally black . Neck is thicker and rounder C shape , very similar to modern Fender AM standard strats , and appears to be refretted with medium jumbos , there’s no wear on them! Not sure if I like medium jumbos tho , it does play better than the ST50 neck but looses The skinny vintage mojo feeling. It is really heavy, and a 4 piece body . - can anyone identify the wood from grain shown? Sound wise , even though my ST50 as Cs69s in it , it sounds much tighter less open, and more top end , less bass. Sounds very similar to my Fender Classic player 60s, which has cs69s as well. In fact all my strats have cs69s in them purely by coincidence ! It actually feels similar to playing the fender as well, due to a bigger neck and MJ frets. The ST 50 feels and sounds like a vintage guitar , much warmer rounded tone . Whrereas the other two sound more modern and spikier . Could it be medium jumbo stainless steel frets really change the sound to be much more treble and loose bass? Did they do different body shapes for the 50s and 60s models? I bought this not knowing what to expect , and pleasantly surprised, especially with pickups , though do wish it had slimmer vintage frets. Also I bought it in mind to do a relic or paint job on it , so fitted the bill . Oh, and congrats on the 'new' guitar of course. steel block trem and bridge saddles and multi piece bodies.Most people would swap the pickups to something better which the previous owner has done(Congrats on the Ybarras!) and swap the trem for a steel block and perhaps replace the tuners to really improve things. ~nice looking flame on the neck not usually found on this model which is cool and the body wood will be either alder or maybe more likely basswood on a lower spec model Gabe. 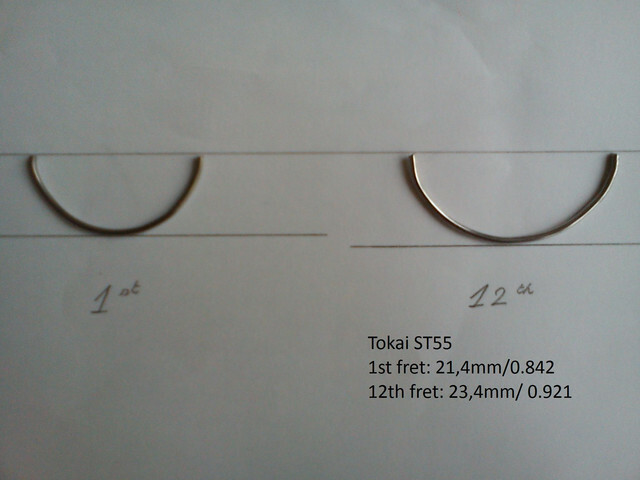 I don't think Tokai used basswood in the 80's, I have a mid 80's AST-40 and the body is definitely alder. I was going to replace the cast 70's style trem but the guitar sounds so good I left it in place. The tuners have been replaced with deluxe stamped klusons and the ceramic pickups are replaced with Seymour Duncan hot stacks and a little '59 in the bridge position. It's a great strat, I've used it a lot since I bought it even though I have a few higher spec Tokai strats. Thanks for the replies and info guys. Yes was coming to the conclusion it is a ST40, looking at other photos . The tuners are the giveaway. Surprisingly they feel really solid and smooth . Which Im going to replace with standard ‘deluxe’ vintage Wilkinson as on ST50s . Plus they are so much easier to string , these side hole ones are a pain! Body is 3 or even 4 piece , kinda hard to see , lucky the relic on it shows 3 I can see. Trem looks a bit nastier than on my ST50, or chrome plating is bubbling. Big difference is the neck , it’s a lot chunkier . But have got used to it and really like the feel of it , now the ST50 neck seems really thin . Yes it has really nice map,e flaming on the neck . love that about it! -or are there different neck depths for the 50s and models? I’m thinking a bigger chunk of flamed maple must be more expensive than a planner thinner neck , seems strange for a More budget ST40.. Previous owner actually put Jumbo frets on it and really high action, almost getting used to these, but visited a Luthier so will get them taken down a fair an recrowned soon. We came to the conclusion previous owner was going to a John Mayer vibe (it came with 11s) an the relic. Main thing it sounds great, but not half as buttery to play as the ST50 . But after chatting with luthier he assured me it will be a different beast after the fret reduce / dress and proper setup. Having larger frets on a 7.25 radius board feels like a vintage modern cross and thickness of neck feels more modern fender chunky C.
I tried that method and find it really really unreliable , can be useful for seeing different shapes. But even then I found it really difficult to see much difference. Do you measure from straight lines drawn? If so you’ll be out by a at least 1mm..
23.4 at 12th seems really big - does it feel like huge chunky neck? Way I do it is with paper round the neck and measure the fretboard width as well as back of neck . Then I lay it flat and measure my pen marks. Would of fancy doing this to yours ? Really interested to see differences in necks on different & same models. Do you measure from straight lines drawn? 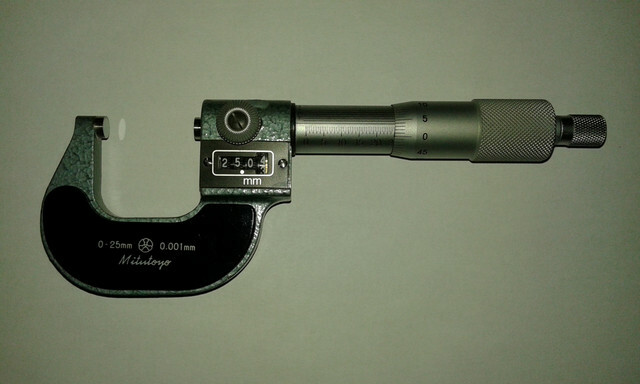 The photo is just for visual shape reference, measurements are made directly on the neck with a micrometer (from center fret board to center back of neck). I'm afraid I can't do that anymore, sold the ST55 a couple of years ago. I do have other(Springy and Breezy) measurements, but they're all V necks.